Buried within the black ops budgets of the Department of Defense, a new spy agency has been created. Unfettered by the oversight of self-serving politicians, it reports only to a secret panel of military insiders. Its job is to target Americas enemies - both foreign and domestic - under a charter of three simple words: Find, Fix, and Finish. 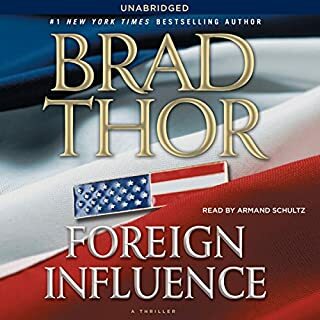 I struggled with this audio book at first it seemed to be going nowhere and the narration was extremely slow. I increased playback to 1.5x speed, and that made a huge difference, around the same time the storyline improved too. once the story got going I enjoyed it. 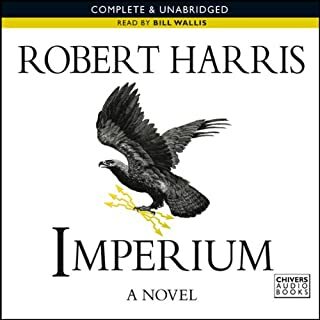 This is the first Robert Harris book I have read and I have to say I enjoyed it very much. In fact I have just purchased the follow up Lustrum and look forward to listening to that. Cicero is someone from history I was aware of but did not appreciate, this book has provided me with a different perspective. I really enjoyed how the story was told by secretary after the event. I would have to say that narrator did a great job too. 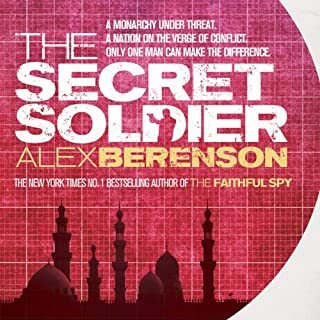 The brand new John Wells thriller from New York Times best seller Alex Berenson. Saudi Arabia's King Abdullah fears he is fast losing control of his family and his people. A series of terrorist attacks has put his kingdom on edge and, with powerful factions operating against him, the king must turn to the one man he has been told will make the difference. Ex-CIA operative John Wells knows all too well how covert internal battles can undermine a nation. Although this is book 5 from a series, it stands alone with a fabulous storyline and great characters. As the publishers summary intimates this story is set in the middle east and provide a fascinating insight to life in the region. I mention in the heading 'frightening', I guess I was thinking about this from two perspectives, how oppressed life can be there, but also how easily things can get out of hand if we were to allow that to happen. So a great story narrated by one of the best, George Guidall makes for a fantastic package. This is the third book in the fantastic 'Project Eden' series and it just get's better and better. So many twists and turns from beginning to end, with new characters and story streams being subtly introduced as you read along. You can't help but be sucked into the world of the wonderful characters and their individual stories. 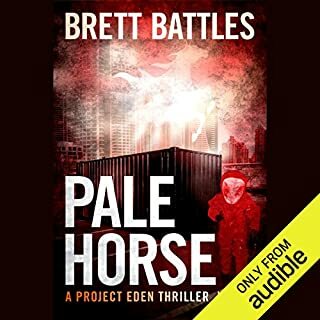 This was the first book I 'read' with Audible and Kindle using their whispersync for voice, in all honesty, this is something I have been hoping would come along for a long time and it did not disappoint - it really is a fantastic way to read books. You know how the second book in a trilogy is often just a bridge between the first and the third, well this isn't the case here. Crash, bang, wollop - that's pretty much the pace from the start of this book, and the action continues straight through to the end. 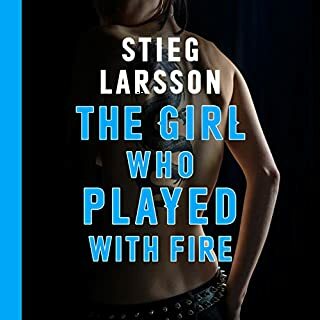 In some respects this story is more about the Lisbeth character and helping us understand what makes her tick and why. This coupled with a very strong storyline makes for compelling reading. You can't complete a review of this book without praising Saul Reichlin's incredible narration, he really is first class. The meeting place was carefully chosen: an abandoned church in rural Ireland just after dark. For Jonathan Quinn--a freelance operative and professional "cleaner" - the job was only to observe. If his cleanup skills were needed, it would mean things had gone horribly wrong. But an assassin hidden in a tree assured just that. And suddenly Quinn had four dead bodies to dispose of and one astounding clue - to a mystery that is about to spin wildly out of control. 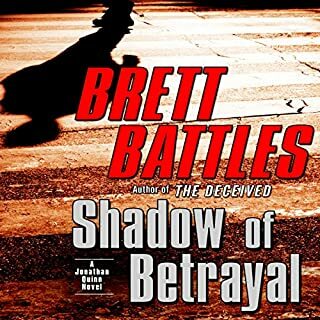 Brett never fails to deliver with his Jonathan Quinn series, I think they are a very clever perspective on the assassin / thriller genre. Fantastic narration from Scott Brick once again. A great package story by Brett, narration by Scott. Would I recommend - hell yes! 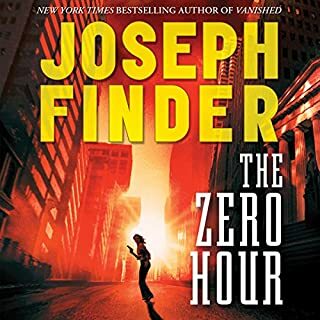 Yet again Joe Finder delivers another great story with plenty of twist and turns keeping you going from page one straight through to the very end of the story. I would call this a real page turner (if it makes sense to say that about an audio book). The narration really complimented the story very well. Would I recommend this, yes absolutely. In my opinion Joe Finder is one of the best thriller writers at the moment. 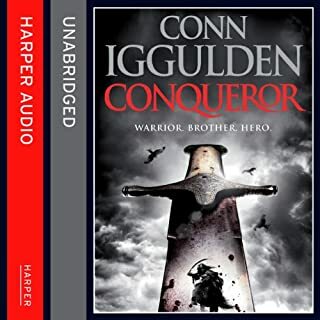 Yet again Conn Iggulden conjures up another fabulous historical fiction story centred around the Gengis Khan dynasty. For me this was one of those audiobooks where you don't mind getting stuck in a traffic jam, it just gives you more time to enjoy the story. I felt the narration by Richard was a little weak and didn't do the story the justice it deserved. That said would I recommend, yes. This was well worth it. 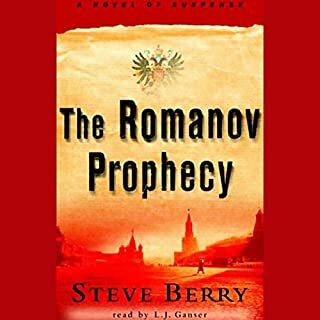 Another fantastic story from Steve Berry, a nice mixture of history of the Russian monarchy and fiction suggesting a fascinating possibility what could have been. The narration was very good. Good story, takes too long to get there! 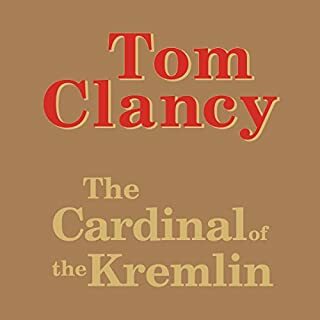 As ever with Tom Clancy; why use 10 words when you can drag it out and use 100! The stories are good but you tend to lose interest throughout as the book it into so much irrelevant detail. It's a real shame as the general story was enjoyable. Narration was fine.